Sammode is a family business established in 1927, specialising in professional lighting. For four generations we have been designing and manufacturing luminaires for architecture and industry in our factory in the French Vosges. Our lighting solutions are renowned for their quality, performance and durability. company, operating on a manageable scale. This scale makes Sammode an efficient, responsive company that is able to take stock of a customer’s real needs and quickly design the products that meet them. In short, “bespoke” manufacturing, or close enough. At Sammode, intelligence and inventiveness reign. Conscientiousness, too. Since the beginning, our lighting has been functional and known for its performance. Constantly being improved and perfected, it incorporates the most recent technology and best-performing materials. Its main specifications : robust, impervious, hardwearing, reliable, and adaptable. Thanks to our end-toend control of our production chain and industrial expertise, Sammode can guarantee the very best quality, from -60°C to +200°C. Since it was founded, Sammode has been a firm believer in sustainable manufacturing and has developed a virtuous environmental policy.This is why it carefully researches its materials, the durability of its products, and economical production methods and packaging. Furthermore, producing effective, reliable products helps to lower the need for maintenance and the number of units that need to be manufactured. 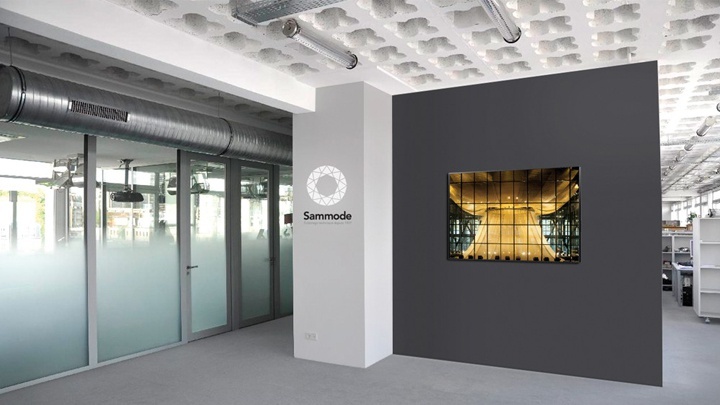 Sammode is engaged in a constant effort to research and create lighting solutions, motivated by technological advances and the challenges posed by each customer’s specific needs. A high technical standard is essential, as is meticulous attention to detail in design and manufacturing alike, in order to comply with all of our products’ functional and durability criteria. Often invisible to the naked eye, this innovation always produces improved performance. Sammode has always built lighting to last, and turned its back on the throwaway mindset and programmed obsolescence. From the light source itself to the electronic circuits and its mechanical structure, every component is designed to last and be replaceable. Sammode also demonstrates its commitment to product quality and durability by offering a 5-year guarantee on all its ranges of architectural lighting.